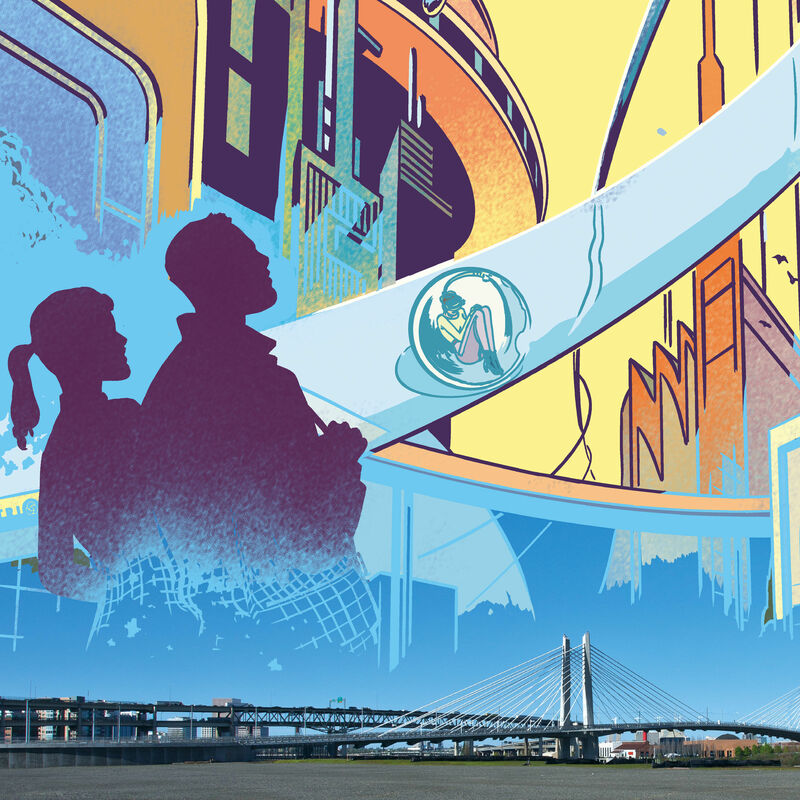 Is South Waterfront Portland's Next Great Neighborhood? Powered by an ambitious new vision, the glossy, glassy, high-rise experiment down by the river is finally turning into a real neighborhood. The question is, what kind? 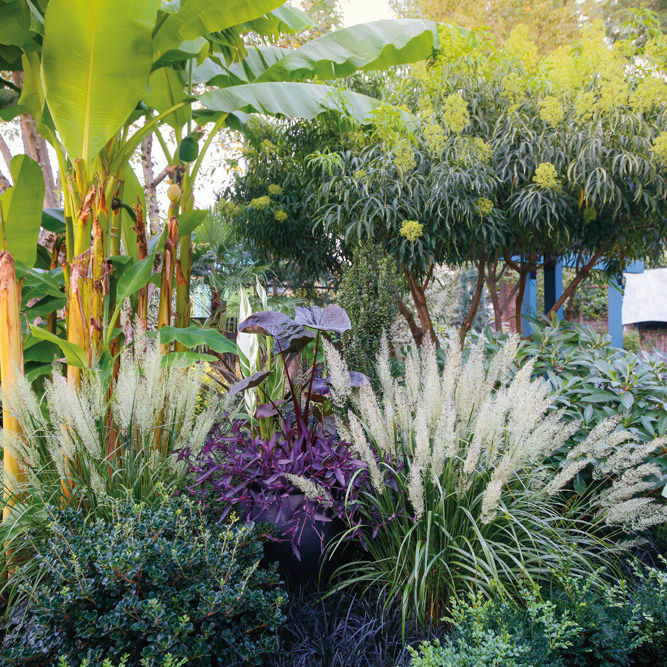 Step inside the lush garden of a Northeast Portland landscape designer who created her own ever-changing oasis. With underground shows, packed LGBT-centric stages, and a killer festival, local comics have never had it better. We asked 750 of our readers about Portland's favorite meal. Here's what we discovered. Five local women blend social justice with triumphant dishes for everyone at their new downtown food cart. A new wave of local vermouth spices up the liquor cabinet. 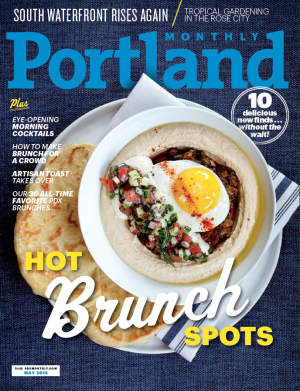 Is Brunch in Portland Just a High-Calorie Spectator Sport? Our Senior Editor shares the trials, tribulations, and unexpected bonuses of curating a list of the city's best brunches. Ride will track the routes and behaviors of cyclists to help direct future bike lanes and signals. Across Portland, radio links Portland's Hispanic community to the world at large. As local schools prepare for commencement, we do the math on the class of 2015. A digital archiving start-up joins the big leagues—complete with the requisite office kegerator. This month's hottest locally made goods for Mother's Day, from handmade GMO-free soy candles to moss and lichen-filled bangles. Why Margaret Jacobsen rocks her natural hair and credits motherhood with defining her minimalist fashion sense. The Columbia River Gorge's epic wind and water create the ideal conditions for the extreme sport.